I wanted this for my Grandson who has Epilepsy, an Allergy and is recovering from Cancer treatment. This is excellent for him to keep in his posket when he starts his new school. Very good product. Yes I know we can all put ICE in our mobiles....but what about my mum who probably wouldn't get the idea? She now is the proud owner of a card and very happy with it too. Got her to stick a sticker where the tax disc of her car would have gone, and she has her tag on her keys. Certainly gives me more peace of mind. Recommended to friends at work with older parents too. Price and delivery time excellent. A lovely pack of useful items. 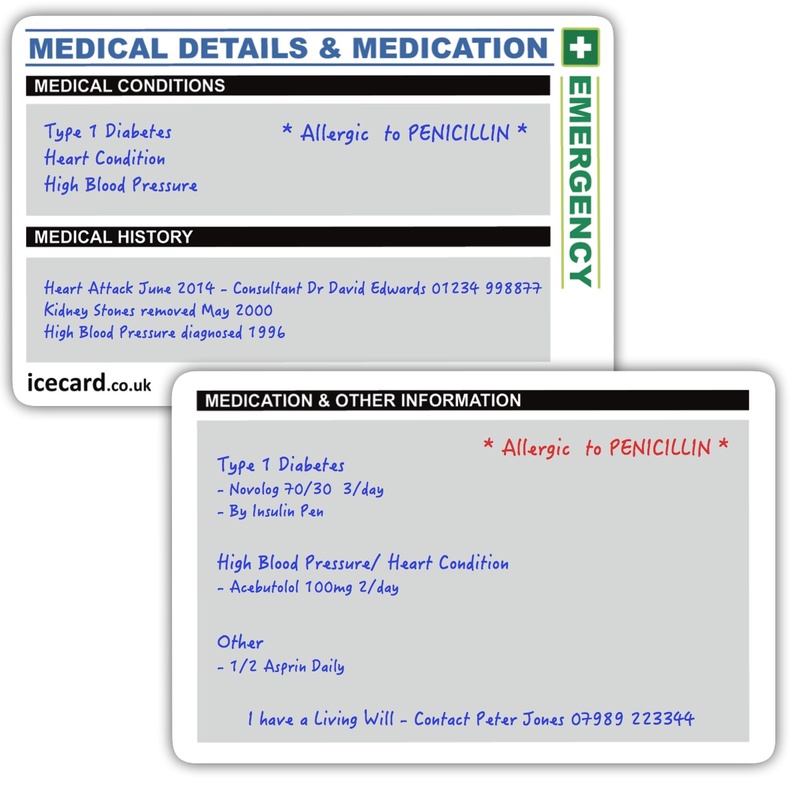 One possible improvement though - a space on the sticker/key rings to say WHERE the full ice card details are maybe?